Are you having a tough time finding kid-approved snacks? With a little extra planning, you can add extra fruits, vegetables and whole grains to your child’s diet. The following snacks can be included in lunch, enjoyed as an after school snacks or as a great addition to any 4-H club meeting! It’s quick, easy, delicious AND a whole grain. Stove top popcorn is delicious just with a sprinkle of salt, but kids can get creative by adding toppings like sugar/cinnamon, Parmesan cheese or lemon zest with pepper. The United States Department of Agriculture (USDA) recommends making half of your grains whole grains each day. Here’s a simple stovetop popcorn recipe for you to try. This is another great way to get kids involved in creating their own snack mix using a variety of items. The key is to change it up every few weeks to keep kids interested. 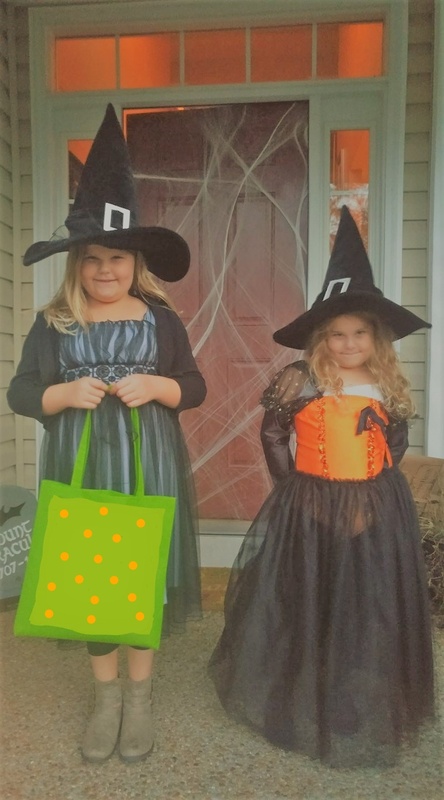 Suggested items include: chex mix, dried blueberries, raisins, chocolate chips, walnuts, pretzels, whole grain crackers, popcorn, and more. Use this snack mix recipe as inspiration. Kids can help put together this great afterschool snack. For fruit kebabs, try grapes, apples, blueberries or kiwi. For vegetable kebabs, try green peppers, mushrooms, tomatoes or yellow squash. They can be simple with only two items such as strawberry and pineapple or cherry tomatoes and broccoli. You can dip the fruit kebabs in vanilla yogurt or drizzle them with honey. A side of ranch or hummus pairs perfectly with vegetable kebabs. The key is to purchase fruits and vegetables that are in-season to make this snack budget friendly. Here is a resource to find out what is in season in Florida. Let’s be honest, hummus and vegetables might not be at the top of the list of your kid’s favorite snack item. The key is to allow kids to make the hummus and serve it with a variety of items to dip. You can dip carrots, celery, radishes, pretzels, or crackers in hummus. Hummus can be made ahead and stored for a few days sealed tight in the fridge. Here is my favorite hummus recipe. Here’s another fun way to get kids in the kitchen to make a perfect snack for after school. You can put together this recipe in less than 5 minutes – it’s so easy Try this basic blender salsa recipe, but feel free to add your own inspiration by adding extra ingredients. Endless recipes make smoothies a great after school snack. You can even pack a smoothie for lunch. To ensure the smoothie stays nice and cold, place the thermos in the freezer the night before. In the morning, pour the freshly made smoothie into the frozen thermos. A personal favorite smoothie of mine is: 1 frozen banana, 1 cup milk, 1 scoop of peanut butter, 1 small scoop of cocoa powder and a handful of spinach. The spinach blends right in (you can’t even taste it), and the cocoa powder hides the color of the spinach. Whole grain muffins are an easy snack to make ahead and enjoy throughout the week. Muffins freeze well and still taste delicious when thawed. You can make chocolate chip, strawberry, blueberry, banana, pumpkin and more. Muffins can also be used as a quick breakfast while you are running out the door. For some extra protein, just add some nut butter, such as peanut or almond. Here is a delicious whole grain blueberry muffin recipe. To learn more about 4-H’s healthy living goal, find your local UF/IFAS Extension office. Knowing how to cook and being comfortable in the kitchen is an important life skill that has enduring benefits. Leon County 4-H hosted a culinary day camp with a unique twist: educating youth about Florida produce and local agriculture. 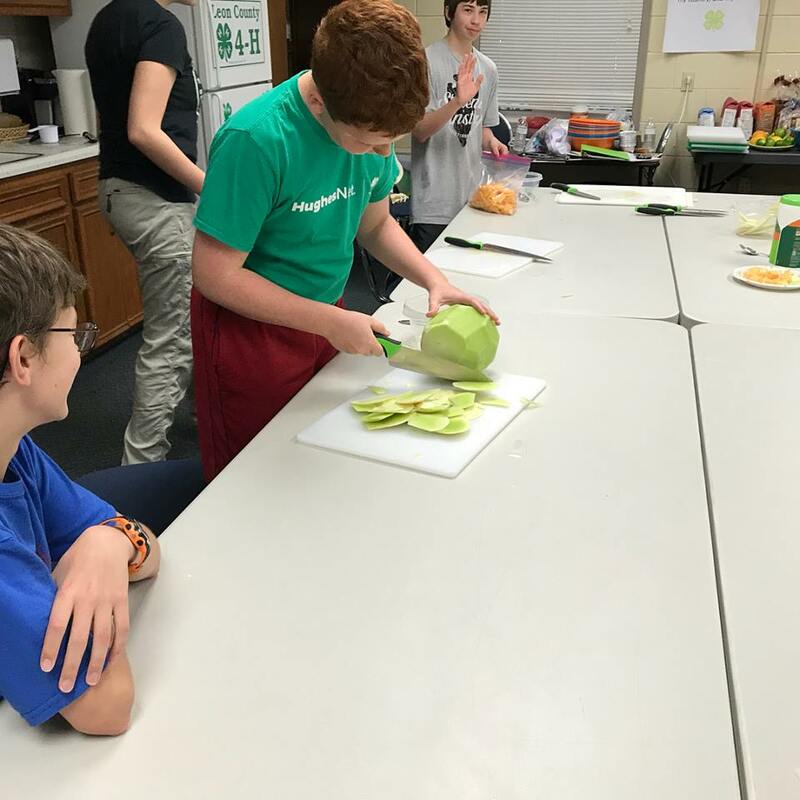 In addition to teaching culinary techniques and nutrition, youth learned foundational cooking skills and took things a step further by building connections between local farms and their kitchens. Chef Paula Kendrick co-led the camp. featuring Florida-grown produce. The importance of nutrition and incorporating healthy foods into the diet was an ongoing theme during the camp. Lessons on how to read food labels, the importance of whole grain and limiting sugar intake were also featured. A salsa cooking competition using local products ended the camp. Chef Paula is from Florida Department of Agriculture and Consumer Services – Fresh from Florida Kids. A visit to Full Earth Farm in Quincy helped youth see how a small local farm operates. Owners Katie Harris and Aaron Suko warmly welcomed the group to their farm and gave them a tour. 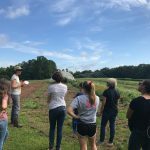 Florida seasonality, composting benefits and how local farms provide fresh produce to businesses and homes in our area were tour highlights. The group left with a box of fresh summer squash to deliver to their next stop – Damfino’s Cafe and Market. Damfino’s sources local products for their menu items. Owner Lucy and Chef Max spoke to the group about their restaurant’s mission of connecting the local community to local farmers. During the camp, youth were eager to try all the recipes and many of the campers tried new food items for the first time. Fresh herbs from the 4-H garden were used in a number of the recipes. Rosemary was added to honeydew sorbet, and basil was added to sautéed summer squash. 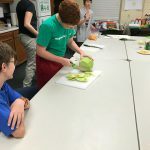 For more information on healthy living 4-H projects such as cooking, contact your local UF/IFAS County Extension Office. What is 4-H Meat Judging? 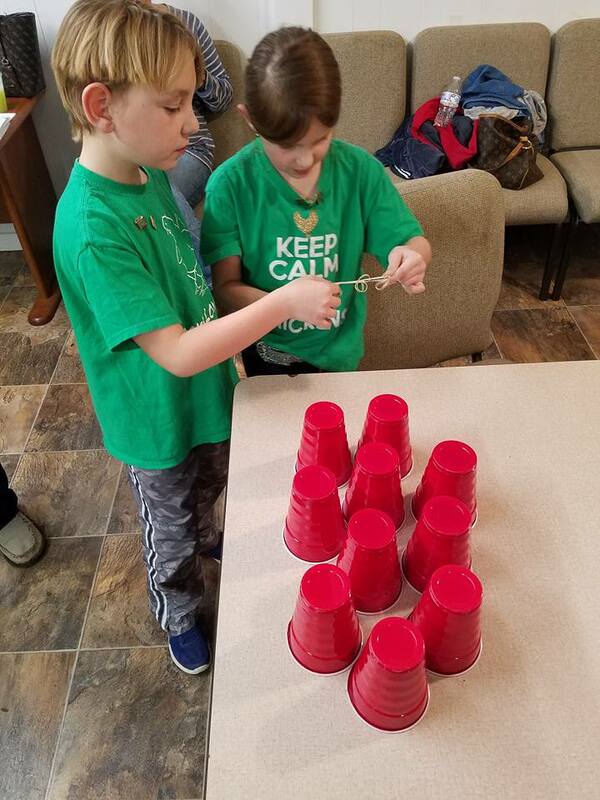 Florida 4-H provides learning opportunities, camps, contests, shows and events in a multitude of areas for its members. The 4-H meat science project allows youth to learn about the different cuts of meat including quality factors that affect the safety and taste of the meat products we consume. The project culminates each year in April at the Florida 4-H Meat Judging Contest. The 2018 contest is April 21, 2018 at the Meat Processing Center at the University of Florida. The UF/IFAS Department of Animal Sciences also hosts a Livestock/Meat Judging Clinic on January 12-13 in Gainesville to prepare 4-H and FFA members for the contest. 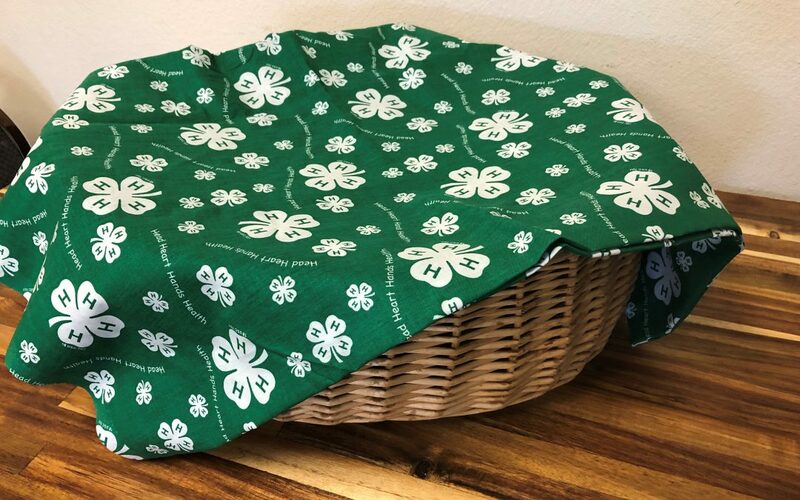 Many Florida 4-H members are already in the production of meat products through exhibiting market steers, swine, sheep, and goats at livestock competitions. 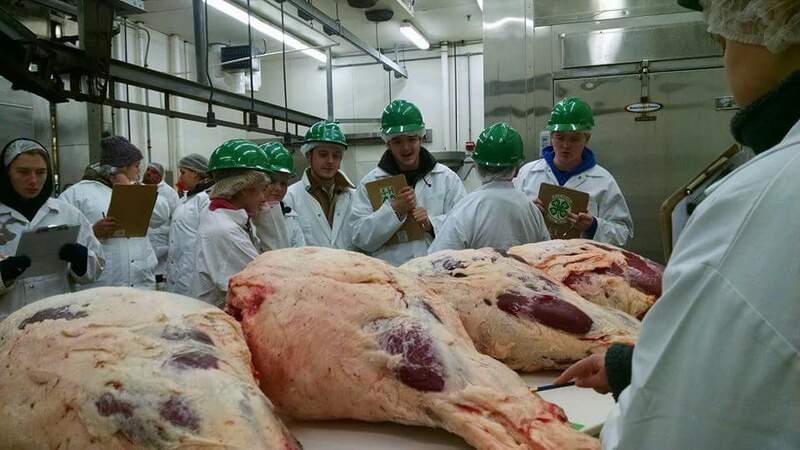 Through participation in judging contests and other leadership contests, agents, leaders, and youth learn valid, science-based information to consider when evaluating and making decisions, as well as learning proper meat storage and handling procedures. This knowledge and expertise to purchase safe, nutritious meat products gives future agricultural and food industry leaders a broader view of the livestock industry. 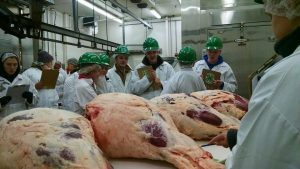 The 4-H Meat Judging Contest is composed of three areas, retail cut identification, carcass, wholesale, and retail placing classes, and oral reasons. 4-H members have to identify 50 retail cuts, including the species, primal, retail name, and cooking method. Youth then have to rank eight placing classes (carcass, wholesale, and retail classes). Finally youth have to give two sets of reasons on the placing classes that they have ranked. This project area helps youth improve life skills, such as decision making, communications skills and confidence, but it also provides them a very practical skill they can use every time they visit the grocery store or butcher shop. Youth learn how to examine a cut of meat to determine which will be of the highest quality and flavor. Whether they cook for themselves or others, this useful skill will be perfected over time. Another exciting aspect of the Florida 4-H Meat Judging Contest is the opportunity to attend National 4-H Meat Judging Contests. The first place senior team earns a trip to Kansas State University to participate in the National 4-H Meat Judging Contest as part of the American Royal Livestock Show in Kansas City. The second place senior team earns a trip to Denver to participate in the National Western Roundup Meat Judging Contest as part of the Western National Livestock Show. 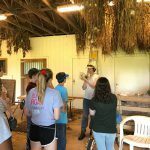 The Florida 4-H Hog and Ham Program is a statewide 4-H program which takes the participant through the total process of pork production from beginning to end. Youth select a feeder pig and grow it to harvesting weight, all the while keeping records on feed amounts and costs, health care, expenses, weights, etc. Youth harvest the hog and process it into wholesale or retail cuts. The project concludes by participating in a retail comparison project, completing a record book, and presenting a demonstration or illustrated talk to the other participants. 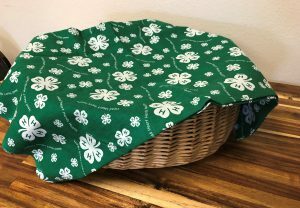 The Florida 4-H Tailgate Contest was created to further enhance the 4-H meat project by allowing youth to demonstrate their food and fire safety, meat selection, and outdoor cooking skills. Youth grill one of four proteins: beef, pork, poultry (half chicken or whole turkey breast), or shrimp. Youth are judged on their food and fire safety and meat palatability. Four regional contests throughout Florida are held between April and July, with a state contest held in the fall. Over $18,000 in scholarships were provided for winners in 2017. 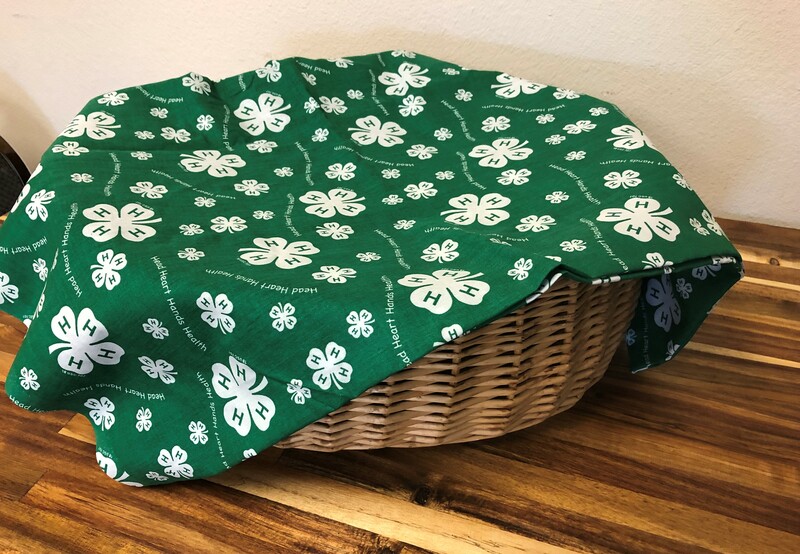 The Florida 4-H meat judging contest is a fun event that can enhance your knowledge of the agricultural and food industries. 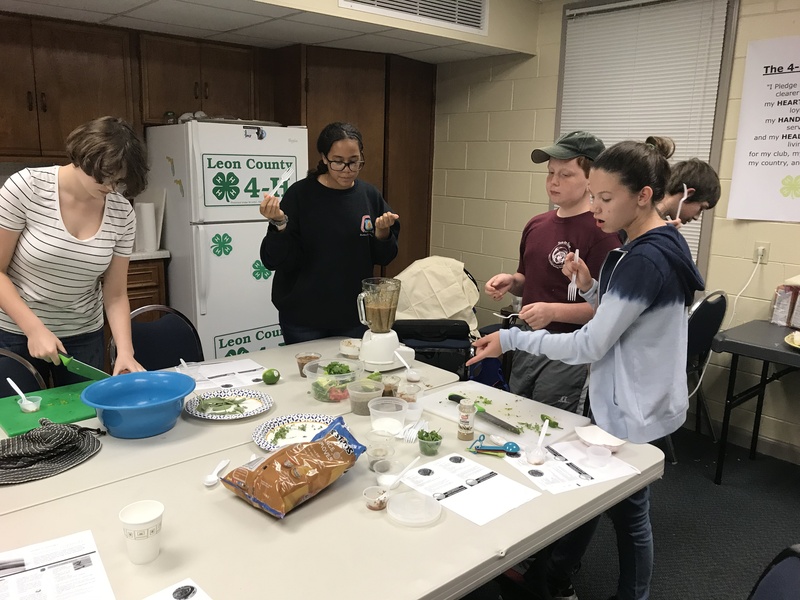 The Florida 4-H Meat Judging Contest, in conjunction with the Florida 4-H Hog and Ham Program and the Florida 4-H Tailgate Contest, provides a well-rounded animal science education to all Florida 4-H members! 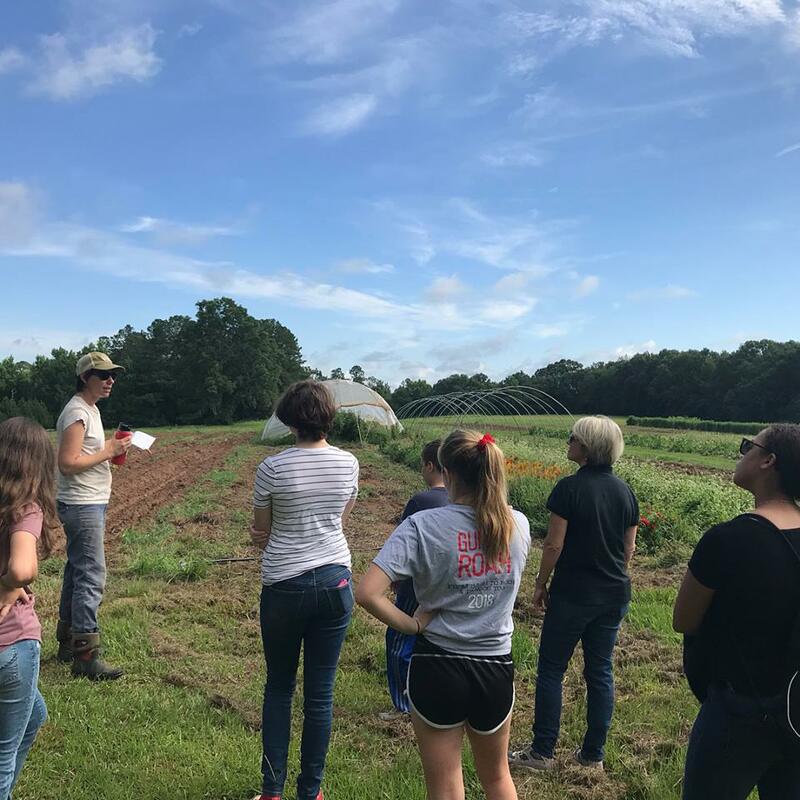 For more information about getting started (either as a youth member or as a volunteer), contact your local UF IFAS County Extension Office.